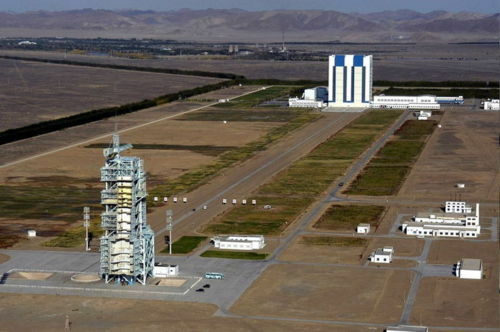 China is confirming US reports of “a failure during flight” of a Long March (CZ) 2C launched from the Chinese space port in Jiuquan on August 18. An unrelated report published a day after the launch failure by a Chinese journalist visiting Jiuquan indicates preparations for Tiangong 1 are proceeding as scheduled. According to this report, the Chinese space laboratory will be launched “on or about August 30”. Reports on the CZ-2C failure state that the payload: an “experimental space research satellite” called Shijian (SJ) 11-04 “failed to enter its planned orbit”. One Chinese military observer reported it may have fallen back to earth either “over Chinese territory” or “somewhere in the Pacific Ocean”. SJ-11-04 was the fourth in a series of SJ-11 satellites. SJ-11-01 was launched on November 12, 2009. The other two SJ-11 satellites were launched in July of this year. All were carried to their assigned orbits by the CZ-2C, which had been one of China’s most reliable launch vehicles. The report also notes that some speculate that the SJ-11 satellites may be used for “operational early warning”, but it is not clear what this means. It suggests missile warning, but China’s SJ-11 satellites are located in sun-synchronous low earth orbits that are not optimal for this purpose. US early warning satellites are located in much higher geosynchronous orbits where they can observe much larger areas of the earth. Russian early warning satellites are in highly elliptical orbits that are also much different that those used by the SJ-11 satellites. The SJ-11 satellites were manufactured by China Spacesat, Ltd., a commercial entity that is still regularly referred to by its old military designation: “The Fifth Academy”. China Spacesat is a subsidiary of the China Aerospace Science and Technology Corporation (CASC). The Shijian satellites are operated by the Chinese Academy of Space Technology (CAST). Founded in 1968 and initially led by the legendary Qian Xuesen, CAST is now another subsidiary of CASC, primarily responsible for the research and development of Chinese space systems and Chinese spacecraft. Historically, the Shijian series of spacecraft seem to be platforms for a variety of space-based sensing technologies that have military and scientific applications.